Each year, government contractors spend mountains of money to influence politicians, and then—in a remarkable coincidence—are richly rewarded with billions of dollars in government contracts. It’s a pay-to-play scheme government officials try to keep hidden from the American public, but is common knowledge inside the Beltway. 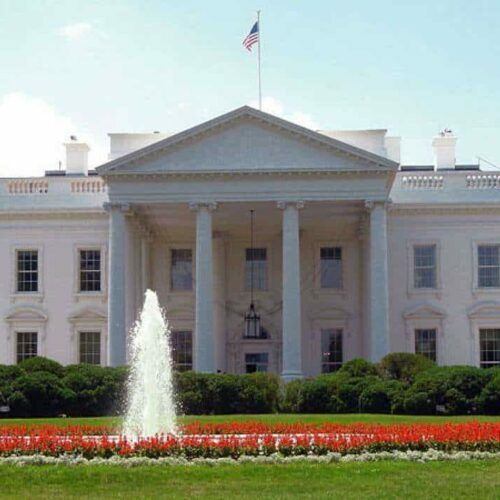 A step in the right direction is the White House’s proposed executive order that would require government contractors to disclose political contributions totaling over $5,000 before receiving government contracts. Although the contributions made by company officials to candidates and parties is already reported to the Federal Election Commission, significantly, the order would also require disclosure of contributions made by individuals and the company itself to third parties that make independent expenditures or electioneering communications. It is this last type of contribution that is so significant. Following the Supreme Court’s disastrous Citizens United decision in January 2010, corporations have been permitted to donate unlimited sums to groups with innocuous sounding names like American Crossroads and the American Action Network. These groups spent millions on political ads in the mid-term elections, pillorying candidates. Americans have no idea whose money was behind these ads and therefore had no context in which to weigh them. Although it was primarily groups supporting Republican candidates who used these vehicles last cycle, Democrats vow not to be outspent again this time around and are forming their own independent expenditure committees. Given the stakes in a presidential election, the $4 billion spent in the mid-terms will likely be dwarfed by spending over the next year and a half. Congress tried to address the problem of anonymous spending last year with the DISCLOSE Act, which would have countered the influence of undisclosed contributions by requiring groups to show the names of top donors in campaign advertisements. Sen. Mitch McConnell, R-Ky., who yesterday called the proposed executive order an “outrageous and anti-Democratic abuse of executive branch authority,” fought tooth and nail against the bill. He steadfastly claimed there was something un-American about informing the public who was behind the shady ads bombarding the airwaves. He was successful; the measure fell one vote short in the face of a Republican filibuster. McConnell has never met a campaign finance regulation he liked so it is hard to take his latest protestations too seriously. Notably, it was McConnell who championed ex-Rep. Tom DeLay’s former campaign finance lawyer Don McGahn to be appointed to the FEC. McGahn is largely responsible for the commission’s refusal to enforce even those campaign finance laws on the books. Further, McConnell’s opposition to disclosure is a somewhat recent phenomenon. In the 1980s, he was in favor of post-Watergate disclosure laws and even introduced bipartisan legislation with Sen. Harry Reid, D-Nev., that would have required disclosure of independent groups or individuals who intended to spend more than $25,000 promoting or attacking a candidate. In the 1990s, McConnell claimed to favor public disclosure of all election-related spending, again including spending by independent groups and contributions to political parties. So basically McConnell voted for disclosure before he voted against it. With the Senate Republican Leader obstinately standing in the way of any common sense reforms, President Obama has had to look for new ways to fill the void and the executive order is a good one. But even if the order becomes law, donations by corporations that don’t have government contracts will remain secret. Further, it is an open question as to just how many individuals or corporations will rethink making a contribution if it has to be disclosed. Surely some will choose to sit out the election, but likely not all. In any event, we are guaranteed to see even more vitriolic ads funded by anonymous donors blitzing our television screens in the upcoming campaign season. Melanie Sloan is executive director of Citizens for Responsibility and Ethics in Washington, a nonprofit organization dedicated to promoting ethics and accountability in government and public life.